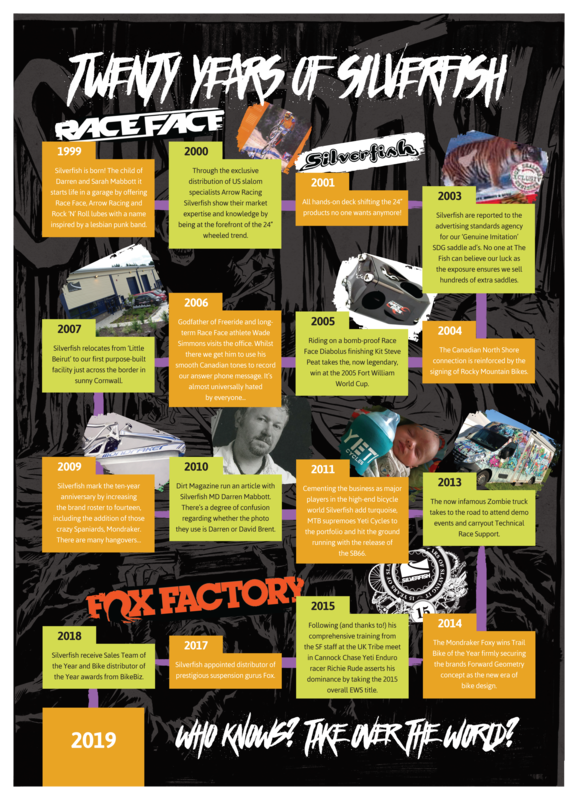 When we first started Silverfish in 1999, with a few cool Canadian bike brands, things were very different. A small operation gave the business certain advantages, only a small crawl from bed to work was a big plus as was the fact we were only a stone’s throw from the local pub. An expanding roster of desirable brands has meant we have moved location three times and expanded to a team of over fifty. What hasn’t changed is the ethos; the dedication and the excitement we get from bringing the best bike bits to our customers. Our love for riding bikes remains as strong as it did all those years ago and this passion not only keeps us excited about work but also keeps our eyes open for new and exciting brands to add to our portfolio. We always strive to offer the highest level of customer service so remember we are just an email or phone call away. After two decades and thanks to amazing dealer support, great staff and some of the highest profile and performing brands in the bike industry we are proud of what Silverfish has become; and the story doesn’t end here that’s for sure.